Clubs nowadays aren't getting the attention or funding that they need and Club Informer allows people to help out. Many clubs at Seneca Valley High School have had to go inactive because they do not have enough attention or enough funding to continue being active. These clubs aren't getting attention or funding, mainly, because people don't know that they exist. 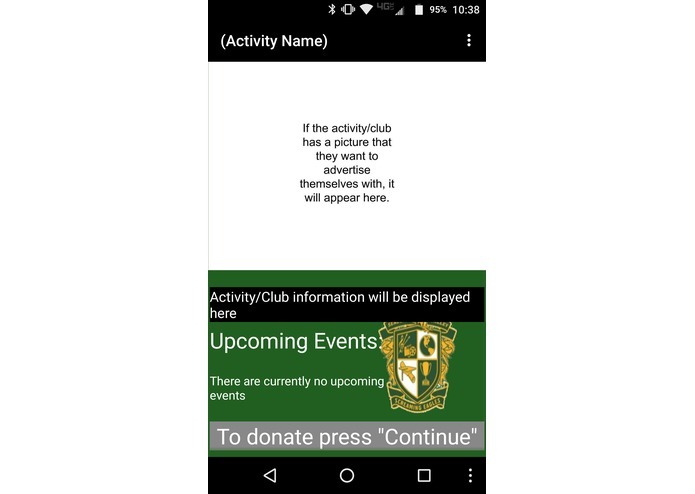 To fix this I came up with the idea of making an app to put all of the active clubs and activities in one place for people to read about and gain interest to make sure that no more clubs have to go inactive. 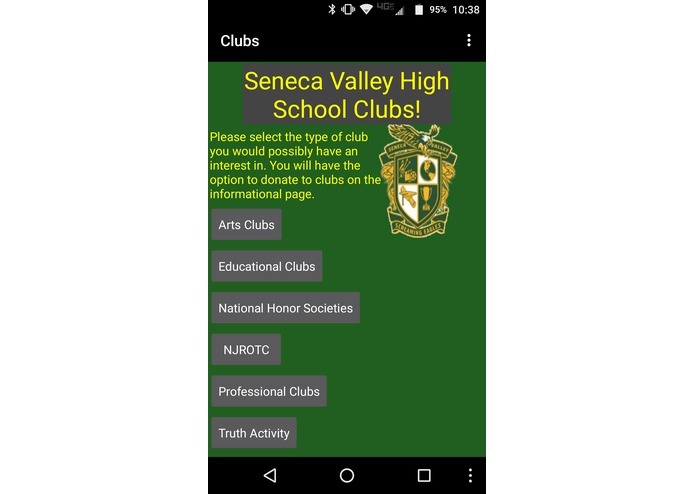 The app has a listing of all of the active Seneca Valley clubs and allows people to read the advertisements that the clubs are using to recruit members. If a user feels that they want to donate money to a club to keep it going, they have the option to do so by being redirected to the Montgomery County Public Schools' online payment website where there will be a section for a user to enter how much they want to donate and where they want the money to go. I built the app using MIT App Inventor. I ran into many challenges. One of the main challenges was finding out which clubs were active and which were inactive. I had solved this challenge by taking any free time to speak with teachers and asking if they sponsored a club, or clubs, and if they were active or inactive. Another challenge was stopping a recurring error that crashed the app when you move from screen to screen. I solved this after a while by simply closing a screen as you leave it instead of just switching the screens themselves. A final challenge that was crucial to the apps development was getting the advertisements from the clubs sponsors. Since the app is meant to informer people of these clubs and what they do, I had to make sure that all active clubs had an appropriate advertisement. This was solved by going around to all of the sponsors and asking them how they want to advertise themselves to possible new members. I am proud that I fixed the recurring crashing error because it had been a serious problem for the majority of the development process. I am also proud that I have completed the development of the app because there were so moments when I had felt that I would never get it done and I pulled through at the end. I learned that there are a lot of clubs that are offered at Seneca Valley High School. Next for Club Informer, I hope to integrate it into all schools that are possibly in the same predicament of deactivating clubs due to a failure of funding and attention. 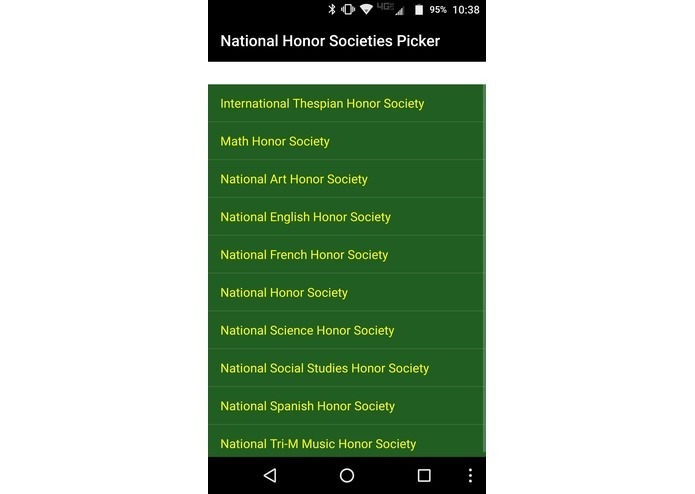 The app can play as a template that can be reused for different schools and their clubs. I provided the coding after I was given the idea and a design to how the app should look.